Rocaglamide is a potent NF-κB activation inhibitor. SN50 is a cell permeable inhibitor of NF-κB translocation. Naringin Dihydrochalcone(Naringin DC) is a new-style sweetening agent and an artificial sweetener derived from naringin and also an inhibitor of CYP enzymes. Andrographolide is a NF-κB inhibitor, which inhibits NF-κB activation through covalent modification of a cysteine residue on p50 in endothelial cells without affecting IκBα degradation or p50/p65 nuclear translocation. Prostratin is a protein kinase C activator. Inhibits growth and induces differentiation of AML cell lines. DTP3 is an inhibitor of GADD45β/MKK7 complex. Diroximel fumarate, also known as ALKS-8700, is a prodrug of monomethyl fumarate in a controlled-release formulation that rapidly and efficiently converts to MMF in the body. 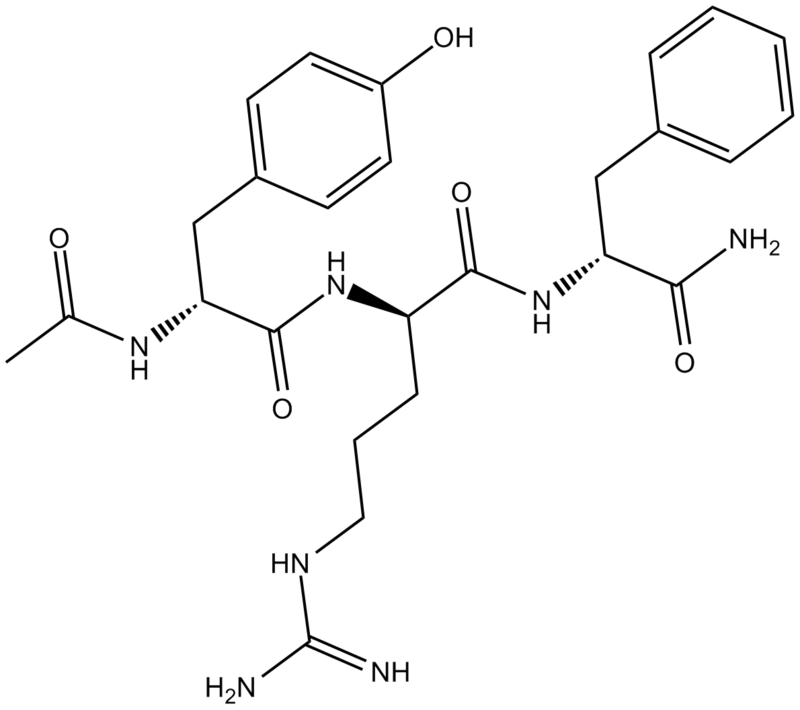 Cynaropicrin is a sesquiterpene lactone which can inhibit tumor necrosis factor (TNF-α) release with IC50s of 8.24 and 3.18 μM for murine and human macrophage cells, respectively.